Looking for a career change or new ways to test your skills? 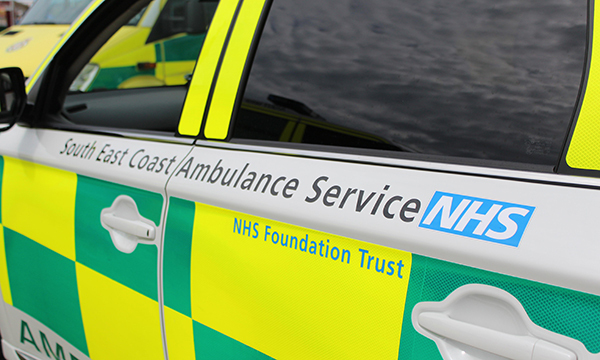 A role with the ambulance service could be for you. An ambulance service may not be the most obvious career choice for nursing staff, but it can offer a wealth of opportunities. ‘I enjoy the variety,’ says Jennifer Green, a paramedic clinical supervisor with South East Coast Ambulance Service, which employs 3,300 staff working in Kent, Surrey, Sussex and a small area in Hampshire. The trust is now looking for nurses to work in one of their two emergency operations centres, in either Coxheath in Kent or Crawley in West Sussex. Managing 999 calls, the centres ensure the best outcome for patients, despatching ambulances when they are needed. Among the roles on offer is a nurse clinical supervisor, a band 6 post supporting emergency medical advisers (EMA), the first point of contact for patients when they reach the ambulance service. Preferably, applicants should have at least two years post-registration experience, with a background in acute care – including A&E and intensive care – or a specialism, such as coronary care or paediatrics. In exchange, nurses can expect a comprehensive package of training. For the first nine weeks, new recruits learn all about the trust’s specific computer system, spend time with the EMAs and shadow other clinicians, with one-to-one mentoring. They also learn about NHS Pathways – a suite of hundreds of interlinked clinical questions that allow patients to be assessed over the phone, directing them to the care they need. There is also career progression, with a lead nurse in post and a nursing structure, plus regular opportunities for professional development, tailored to the individual. ‘If you’re interested but unsure, come and spend some time with us and find out if it might be for you,’ says Ms Green.